From Bond to Bullitt, getaway cars capture our imaginations in movies and TV as protagonists and baddies alike make their daring escapes from any tricky situation. But the real-life getaway cars, used by actual criminals during the events that inspire our favorite action flicks, are where it's really at. From the very first getaway car ever recorded, and used in an anarchist crime spree no less, to one so badass that the cops publicly admitted defeat, these are the all time greatest getaway cars. Capone preferred riding around in armored Cadillacs so he wouldn’t end up resembling a colander while sitting in his car. This one has asbestos-lined armor plating installed inside the doors, and is noteworthy as one of the first armored vehicles. There’s even an urban legend about the Treasury Department using the car to protect FDR, though the claims surrounding that particular part of the car’s history are disputed. It sold at auction a few years ago for $341,000. Ordinarily, you’d never suspect a boring European sedan made by GM’s European arm to be a getaway car of choice for a series of brazen robberies, but this wasn’t an ordinary GM sedan. 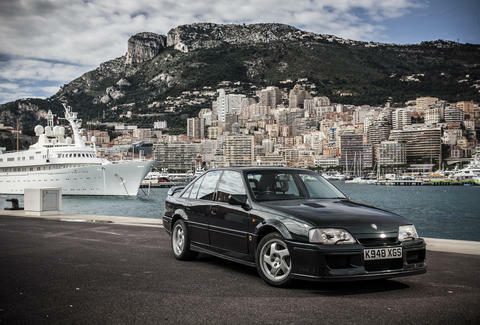 Lotus took a Vauxhall Carlton (aka the Opel Omega) and souped it up until, with 377 hp and a top speed of 177 mph, it was the fastest sedan in the world in the early 1990s. 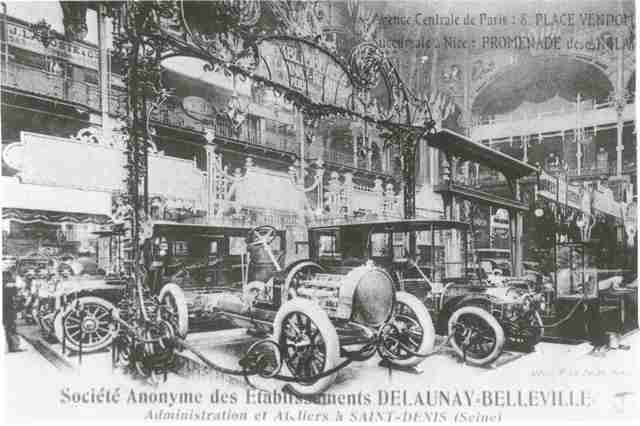 The Bonnot Gang was essentially the French equivalent of Wild West outlaws in the early 20th century, diving headlong into a life of crime that began in 1911 when they stole a car -- a Delaunay-Belleville similar to the one seen here -- and proceeded to use it as a getaway vehicle in a series of increasingly high profile bank robberies. Thus, it’s widely believed that the Bonnot Gang’s Delaunay is the very first getaway car in existence. Side note: aside from originating the getaway car, the Bonnot Gang was at the forefront of the French anarchist/illegalist movement. Eventually, it literally took an army, with nearly 1,000 soldiers, machine guns, and hundreds of pounds of dynamite, to bring them down. In the aftermath, both the US and French governments increased police power to fight against anarchy. 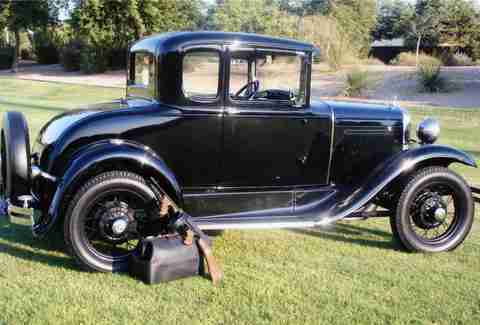 Although the Ford V8 sedan that Bonnie and Clyde stole was used for several getaways -- wherein Clyde cleverly crossed state lines (and thus jurisdictions) in the process to evade arrest -- it’s best known as the car they didn’t get away in, after being ambushed and shot repeatedly, so much so that members of the posse responsible were reported to have temporary deafness from the sound of the guns. While Bonnie and Clyde were making headlines in early 1934, John Dillinger was Public Enemy No. 1. Virtually the entire FBI was out to get him, under personal supervision from J. Edgar Hoover, and at the direct order of President Roosevelt. It was in this car that Dillinger managed to escape from St. Paul, Minnesota, after a 45 minute gun fight with law enforcement. That he could escape from the intense surveillance of the FBI was such an embarrassment that FDR threatened to shut down the still-new FBI if it failed again. 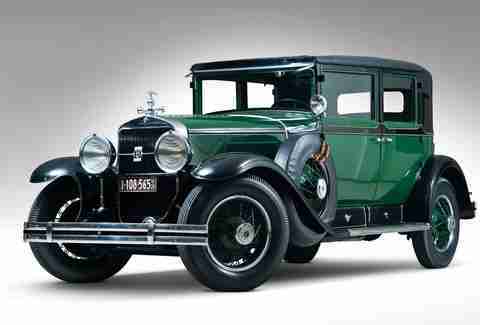 Dillinger drove the now-classic-in-its-own-right five-window coupe to Chicago, bullet holes and all, to lay low for a while. Stupidly, he left it parked in the street, alerting the feds that he was in town. They closed in, and a few months later, Dillinger was dead. 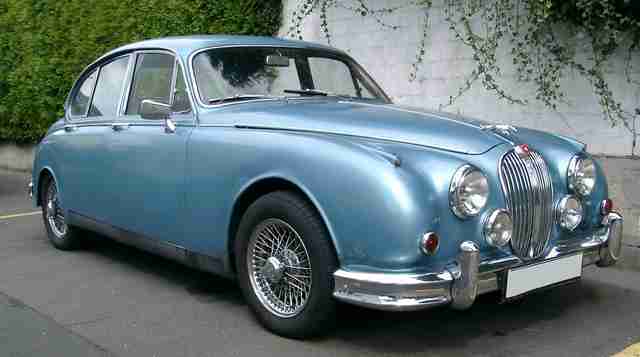 On its debut in 1959, the Jaguar Mark 2 was seriously powerful for a sedan. With a 220 hp engine pushing it to a top speed of 125 mph, the shapely cat could outrun the majority of sports cars in the world. Combine that performance with plenty of seating for criminals and their loot, and the Mark 2 was an instant hit among criminals on the lam and the cops trying to catch them. It was the car to have for the better part of a decade, and made its way into film and TV as the car of choice for baddies. To this day has a bit of a gangster reputation in England as a result. 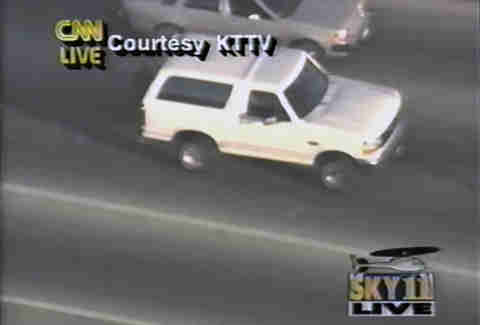 The truth is there was nothing special about Cowlings’ white Bronco before he drove a suicidal and wanted-for-murder O.J. through LA in the most infamous low-speed police chase of all time. Nevertheless, anyone old enough to have watched the chase live will never associate a white Bronco with anything else ever again. Aaron Miller is the Cars editor for Thrillist, and can be found on Twitter. If he were the criminal type, he'd definitely steal a Lotus Carlton. He's not, though, so he'll have to settle for finding one that's cheap.